If you Can’t Decide Between the 2018 Volkswagen Passat and the 2018 Volkswagen Jetta, Then Allow Balise Volkswagen to Help! Having a tough time picking out which sedan is right for you? 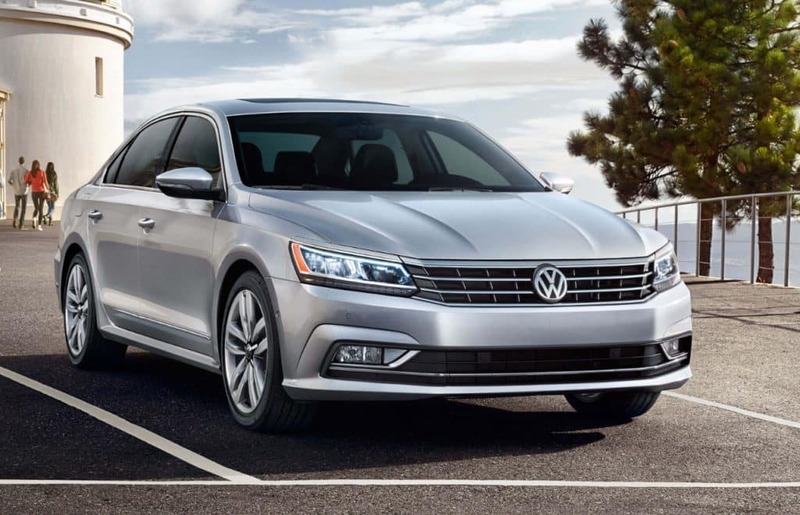 Do you have the Volkswagen Passat and Jetta on your mind? If you answered yes, then allow the professionals at Balise Volkswagen to assist you with your vehicle search. As you’re browsing our new sedan inventory, it’s best to think about which features you need for your travels around Warwick, West Warwick, or Providence. But remember, the best way to choose between the Passat and the Jetta is to compare them in person. The main difference between the Volkswagen Passat and the Volkswagen Jetta may be obvious, but it’s size. The Passat is classified as a mid-size sedan, while the Jetta is classified as a compact sedan. When it comes to interior space, the Passat may be the right choice because passengers sitting in the back will have more room. When it comes to cargo space, both sedans come close in amount with the Jetta having 15.7 cubic feet of space and the Passat providing 15.9 cubic feet of space. For those who want more powertrain options, the Volkswagen Jetta has more to choose from. Drivers will have a choice of three turbocharged 4-cylinder gasoline engines. With entry-level Jetta models, a 5-speed manual transmission comes standard, although automatic is optional. If you live or work near East Providence, Pawtucket, and Attleboro, make your way down to Balise Volkswagen for a test drive today. Please feel free to contact us online for more information about our Volkswagen Jetta or Passat models, and we’ll see you soon! 0 comment(s) so far on If you Can’t Decide Between the 2018 Volkswagen Passat and the 2018 Volkswagen Jetta, Then Allow Balise Volkswagen to Help!